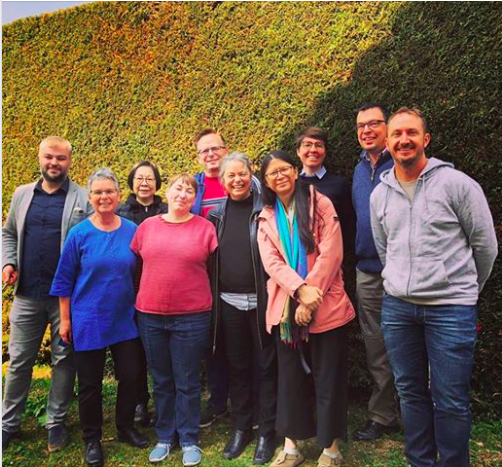 Part of the GIN Secretariat had the pleasure to meet with the Global Coalition of LGBT Christian groups last week, from 10th to 12th April, in Geneva (Switzerland) to strategise its involvement in the upcoming General Assembly of the World Council of Churches, in Karlsruhe, Germany, January 2021. The WCC assembly is held every seven to eight years, and is central to the life of the WCC member churches and the entire ecumenical movement. As a unique event, it provides the opportunity for WCC to continue its journey as a living expression of the fellowship of churches seeking to fulfil together their common calling. The assembly is also the head legislative body of the WCC, and it reviews programmes, determines the overall policies of the WCC, elects presidents, and appoints a Central Committee which serves as the chief governing body of the WCC until the next assembly. The Global Coalition of LGBT Christian groups has been working with the WCC since 2014 to promote the awareness of SOGIESC-related issues within the Church, and GIN has been part of the group ever since its creation. Altogether, we would like to be present at and participate in the next General Assembly and represent some of the issues faced by the global LGBTI movement there.